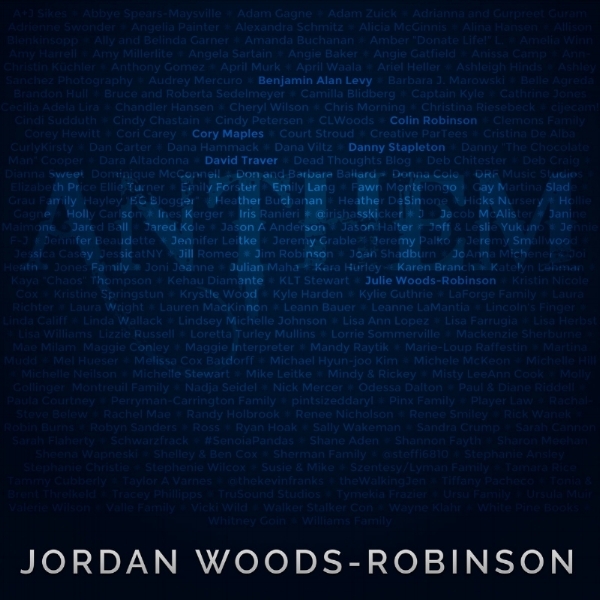 "Anthem" by Jordan Woods-Robinson has been released! We worked very hard on this record and it turned out amazing! Check it out!! Buy it on Bandcamp or Itunes! Super excited to be performing with the amazing Jordan Woods-Robinson at Walker Stalker Con in Atlanta GA on October 28 at 9pm! Jordan has a brand new record coming out this fall on which I played guitar, bass and keys. This show is going to be a blast! See you at the Con! In LA recording Laura Glyda's new record. Laura and I were in a band together for years in the early 2000's. I'm so happy to be back creating with her! 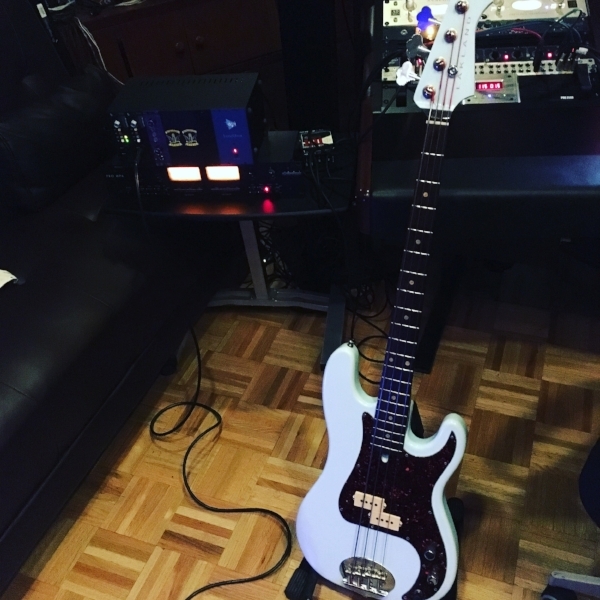 Tracking with my new Lakland Bob Glaub bass with flats. All di. Yesterday through Api 512c pre, today through 1073, both through Tube Tech comp. Songs on Sunday is a fantastic group of musicians who get together over the summer to release a new song each week. This week is a song called "One More" by musician/actor David McLaughlin. I contributed guitar and bass and mixed the track as well. Hope you enjoy it! More information here! Honored to be featured on the Northeastern University College of Arts, Media and Design website! Thanks so much to the amazing composer and Northeastern University professor Anthony Deritis for making it happen! Check out Anthony's work here! Here's a link to some photos from the awesome Creative City Project that happened here in Orlando! DRIP performed a piece in a water filled hammock to a piece I composed using wine glasses, a bath tub and water (amongst other things)! Currently working on updating some old DRIP pieces. This may be the start of preparing some tunes for a release! Smudge is producing this one. Had a great time watching DRIP's new piece "Powder", score written by me, performed for National Dance Day in Orlando. Here is a photo from a past performance at our space. Had an awesome time performing with Blue Man Group at Dodger Stadium for opening day! Had an excellent time in Brasil doing casting for a new Blue Man Group show! Everyone I met down there was super cool and had crazy positive attitudes! We were playing at a super cool and inspiring studio that was in an extremely white and plain studio that had a roofdeck pool and a wonderfully simple kitchen. Loved everything about it and want to record there some day. Positive of our show DRIP are rolling in! Check out this new review of the show wrote the score for! Here is the performance we did with Michel Telo for the Latin Grammy's 2012! Blue Man Monte Carlo Officially Open! Blue Man Vegas is officially open! We had a great time getting this show together and we are glad that this day has come. Fantastic seeing old friends who made the trip out! Also had a great time at the afterparty with an awesome performance by DJ Mike Relm with Jeff Tortora joining in on kit! DRIP's Grand Opening NOV 8,9 and 10!!!!!! DRIP is opening this week on International Drive in Orlando Fl!!!! I wrote all the music and I'm super proud of the show, the cast and the crew. We have been working soooooo hard and it's time to show you what we've done! DRIP is an in-your-face explosion of color and movement backed by a live rock band, all in an industrial dive bar. You may get wet … you may get messy … you WILL have an awesome time. Grab a local brew or glass of wine from our bar and let us assault your senses. Reserve your tickets now online and save $6! New Blue Man Group Show in Las Vegas! I'm currently in Las Vegas opening Blue Man Group's new show at the Monte Carlo Hotel and Casino. This show is absolutely amazing and we are having a blast! Come check us out! I will be hopping between Vegas and Orlando for a bit working with BMG, DRIP and some other projects. More info soon. We've been working really hard on the new Blue Man Group show here at Universal Studios Orlando. It opens officially Feb 24 2012. Come check it out! Very happy to join the band Xer0. Expect some good, loud, music to come out of this project! Check us out HERE. DOG POWERED ROBOT OPENS TONIGHT!!!! I wrote the music for this show! GO SEE IT!! ABOUT THE SHOW: Dog Powered Robot is back by popular demand and this time he’s fighting for us! This fast and funny show features lights, sounds, 7 brand new robots, puppets, pets, dancers, singing and fun all set to an original soundtrack. Can Dog Powered Robot save us or will the world end up neutered? Find out by watching Dog Powered Robot and The History of The Future, this May at the 2011 Fringe Festival's Green Venue.